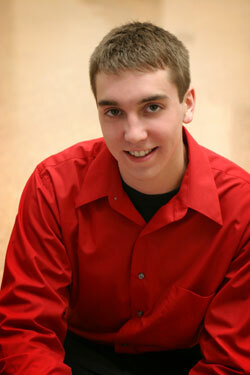 Kyle Wagers of Centerville has been chosen as the 2007 Lingle Scholar. The scholarship award will continue throughout his pursuit of a four-year degree at Indiana University East. Wagers graduated in May 2007 from Centerville High School. He received his high school diploma with honors. While in high school, Wagers was a member of the National Honor Society, Spanish National Honor Society and several citizenship awards. Indiana University East will accept art entries beginning Monday, September 24 for the 2007 Whitewater Valley Annual Art Competition. The competition will begin at 9:30 a.m. on Saturday, October 6 in Whitewater Hall. The top 10 entries will receive a monetary award. Jerry Wilde, associate professor of educational psychology, was on “Wake Up With Whoopi” Tuesday morning to provide parents with tips on talking with their children about the images surrounding September, 11, 2001 terrorist attacks and the war in Iraq. Whoopi Goldberg’s radio show stream’s live on the internet and cities across the nation. Indiana University East’s director of Human Resources and Payroll received the Award for Professional Excellence during the Indiana Society for Human Resource Management Conference. The conference was held August 27-29 in downtown Indianapolis. The Whitewater Valley Annual Art Competition dates back 28 years. Now, after more than a quarter of a century, entries number between 200- 250 and come from as many as 40 universities, art organizations, art centers and independent artists throughout the 300 mile radius around Richmond, Indiana. Credit hours taught for the fall 2007 semester at Indiana University East have increased 3.9 percent compared to the same period last year, according to unofficial enrollment figures. The number of students enrolled also increased by a full percentage point. Indiana University East is reorganizing its senior administrative structure to support more directly its expanded mission as a comprehensive bachelor’s and master’s degree institution. This new structure places emphasis on academics and the academic needs of students, while also providing for the effective management of a broad range student activities, events and services. As a public institution serving the residents in east central Indiana and west central Ohio, the university has a special responsibility to meet regional needs for higher education in as efficient way as possible. Richmond, Ind. The 2007-2008 Lively Arts Series will open with a performance by Recycled Percussion on September 14 at 7 p.m. in Vivian Auditorium, located on the Indiana University East Campus. (Richmond, Ind.) A dedication ceremony for the Quigg Family Foundation Nursing Laboratory and the Reid Hospital & Health Care Services Simulation Lab will be held August 24. The ribbon cutting ceremony will begin at 4 p.m. and be held in Hayes Hall on the patio. (Richmond, Ind.) Tom McFarlane’s “Images from a Digital Darkroom” will be on display at The Gallery at Indiana University East from August 27 to September 21. 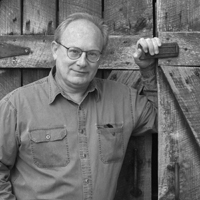 McFarlane has always been involved in photography, but with the arrival of high resolution digital photography over the past few years, his interest has grown.